Lately, with the exception of the few odd warm days, it's been bitter cold. So much so, that I find myself preferring cozy nights in with a bottle of red, instead of braving the cold. 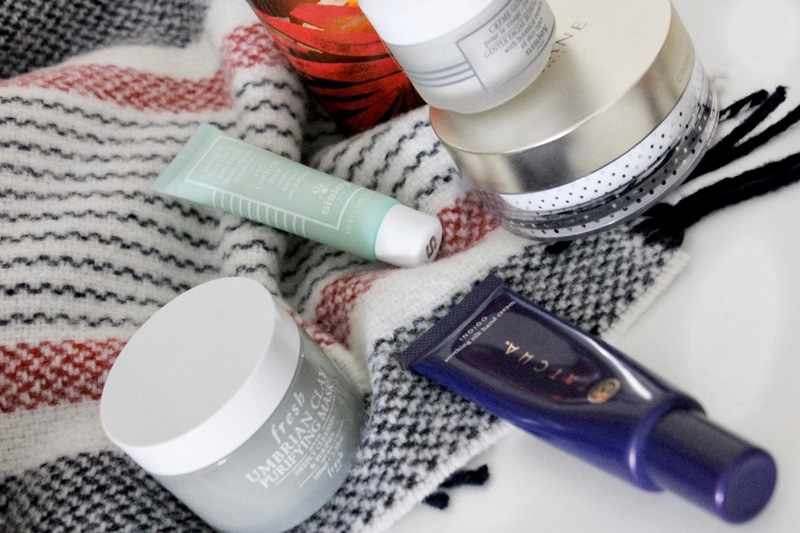 It's the perfect excuse to bundle up in cozy layers, and slather on a few pampering products. 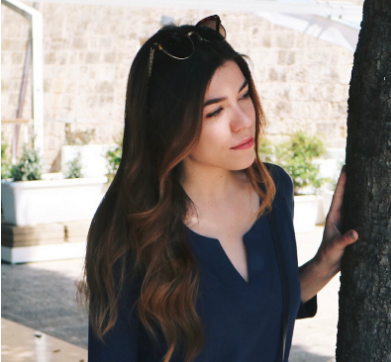 You'll wake up feeling - and looking - rejuvenated. 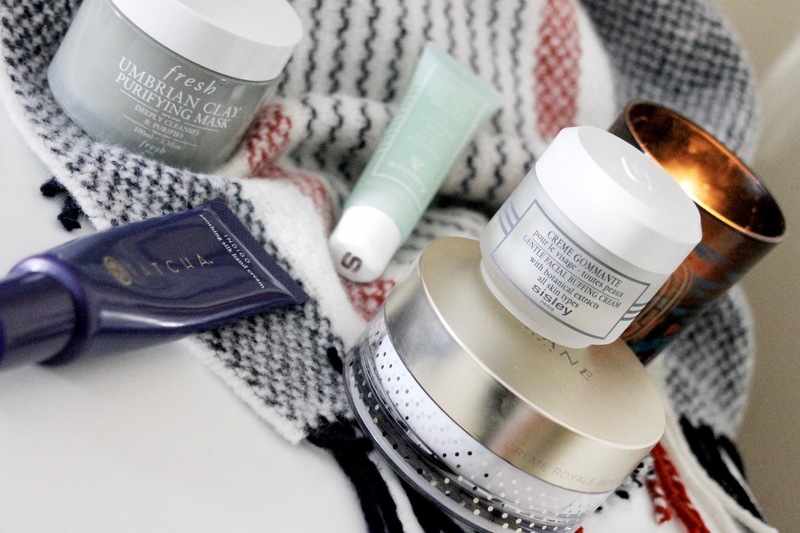 These are the products I'm digging into at the moment...you should try them for yourself! Fresh Umbrian Clay Purifying Mask - The clay mask to end all others. This one is soft and contains sandalwood oil to soothe and moisturize, while the mineral-rich clay works wonders at vacuum-cleaning clogged pores. I love how my skin looks instantly brighter and poreless, instead of dry and irritated like it can be after using certain clay masks. Trust me, you'll become fast addicted like I did. 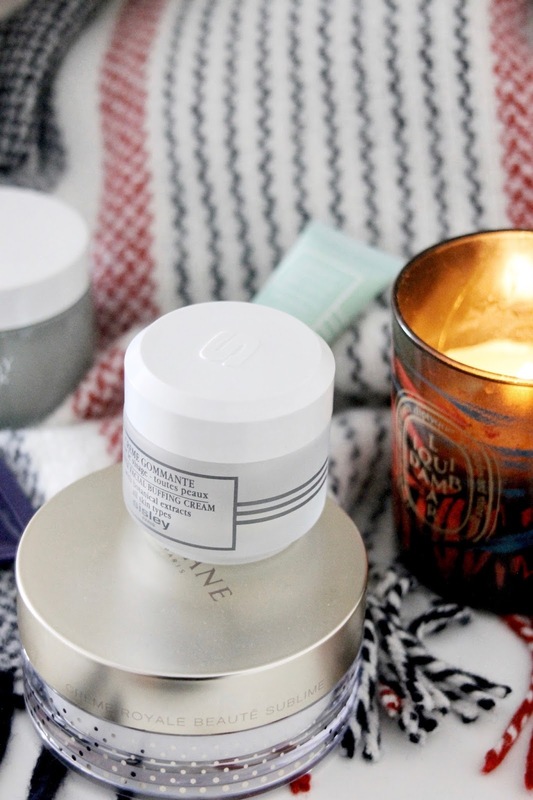 Sisley Eye Contour Mask - I've never been one to *need* too many eye products (the odd cream here and there gets used) but Sisley has changed my mind. Whenever my eyes are feeling tired, or puffy - like they do after a long week of work - I reach for this tube and I'm instantly relieved. It helps brighten the area and provide serious moisture that makes applying makeup the next morning a dream. Tatcha Indigo Soothing Silk Hand Cream - Hands need some love too! This Tatcha hand cream is dry winter hand's best friend. I apply as much as I need without that nasty hand-cream residue, or overkill scent bugging me afterward. It's super calming as well - so if your hands are chapped and burning - this is your guy. Sisley Gentle Facial Buffing Cream - The most gentle, yet effective, exfoliator I've yet to try. It softens and soothes the skin while clearing dead skin cells away in one fell swoop. I also love that it prepares the skin to receive (and optimizes) the next steps in your skincare routine. Amazing stuff. Orlane Creme Royal Sublime Mask - Consider this instant youth in a jar. After just a few minutes (I love using it after a clay mask as well) it wipes away signs of fatigue and plumps up dehydration lines. It contains fresh royal jelly and vitamins that nourish skin in need of a refresh. I swear the results are like a trip to the spa, but you never had to leave your couch. We all need this in our lives. & A Luxe Candle - My current favorites are Diptyque Rosamundi, Creed Spring Flower, Jo Malone Lavender & Lovage. 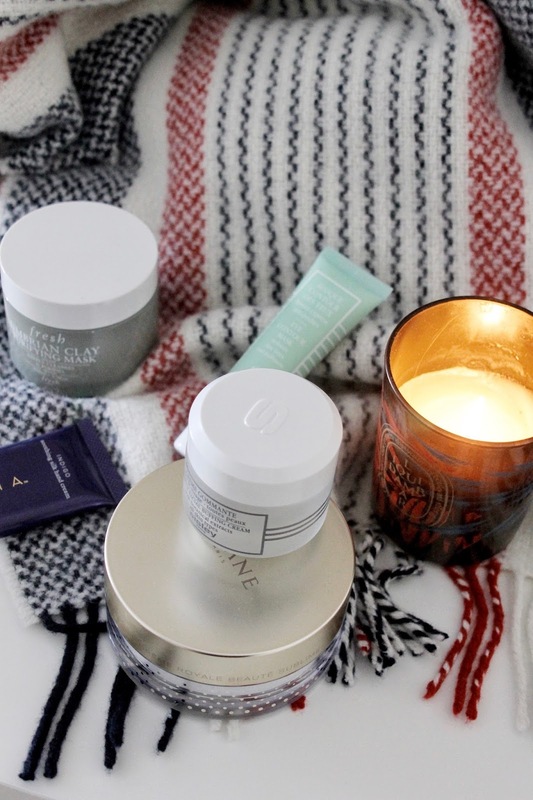 What are your favorite pamper essentials for the winter?